A 9-year-old boy was mauled to death by three pit bull dogs when he was left alone in his sister’s trailer home, the Yuba County Sheriff’s Department said Monday. Sheriff’s deputies learned the boy’s guardian, Alexandria Griffin-Heady, left the boy with the dogs in the trailer home in the 6200 block of Dunning Avenue while she went to work. She returned three hours later and discovered he had been attacked and suffered life threatening injuries. The boy was pronounced dead at Rideout Memorial Hospital soon after his arrival, said Undersheriff Jerry Read. No arrests have been made at this time. Griffin-Heady may be facing charges of child endangerment pending further investigation, Read said. Just before Thanksgiving, Alexandria Griffin-Heady mused on her Facebook page about how life can take strange turns. 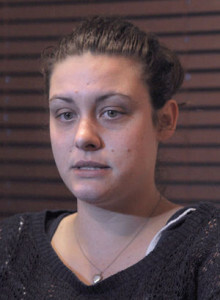 Here she was, at 24, she wrote, trying to adopt her 9-year-old brother, who after their mother’s death in 2011 had been bounced through the foster care system. She wanted, she said, to help raise him and “shape him into an amazing man.” Sacramento County Child Protective Services had given her permission to have the boy for overnight weekend visits in the travel trailer she shared with her dogs, on property adjacent to the rural Yuba County home of the adoptive parents of two of her other siblings. 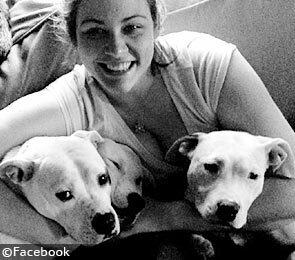 But it all went tragically awry Sunday, when she left the boy alone with her three pet pit bulls. When she returned from her security guard shift a few hours later, authorities said, the small blond boy, Tyler Trammell-Huston, had been mauled to death. No arrests had been made as of late Monday. The three dogs, a mother and two offspring that Griffin-Heady had raised from puppyhood, had been seized and placed in an animal shelter. They will be euthanized if they are determined to be dangerous animals, Yuba County Undersheriff Jerry Read said. The mauling has left police, neighbors and authorities with troubling questions about the circumstances of the boy’s fractured life and terrible death. Was Griffin-Heady, who recently moved to Northern California from Florida, capable of parenting her young brother? Was the trailer where she lived, which Read said had no working bathroom, safe for Tyler? Why would she leave her brother with three dogs capable of killing him? Laura Badeker says she is angry at Child Protective Services and “angry at the system” after her 9-year-old nephew was mauled to death by his sister’s pit bulls. The boy was left alone with the three dogs and attacked Sunday, January 3, 2016. The dogs remain with Yuba County Animal Control. 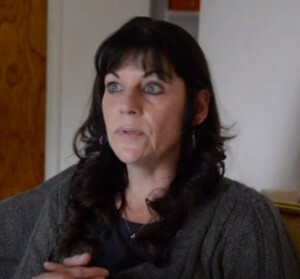 Gloria Hudson had concerns about her 9-year-old foster child leaving her Elk Grove home and going to live with his older sister in rural Yuba County. But life had been so hard for him – losing his mother in 2011, floating through the foster care system apart from his four siblings. He seemed excited at the prospect of finally having close family again. So, she decided to accept it. In recent months, the blond-haired boy, Tyler Trammell-Huston, had been staying with his sister on weekends with the permission of Sacramento County Child Protective Services. During his winter break from school, he had spent two or three weeks with her, in her small travel trailer south of Marysville. Hudson said a judge was supposed to decide later this month whether he could move in with his sister full time, provided she got an apartment. She said she was expecting Tyler home Sunday when she got a call saying he was dead. He had been mauled to death by his sister’s three pet pit bulls, after she went to work and left him alone in the trailer. LINDA (CBS13) – The dogs that mauled a 9-year-old boy to death in Linda have been euthanized, authorities say. Jerry Read, the Undersheriff for the Yuba County Sheriff’s Department, said the three dogs were euthanized on Wednesday. 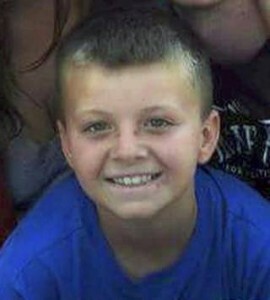 The dogs mauled Tyler Trammell Huston to death while he was home alone in a trailer in early January. 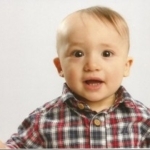 Tuesday, the boy’s father announced he will be filing a wrongful death lawsuit against Sacramento County Child Protective Services for the death. The detective’s report was more than 60 pages long and included more than a dozen witness statements. Whether Griffin-Heady will be charged with child endangerment is up to the District Attorney’s Office, a decision that likely won’t be made this week. “Cases like that get reviewed by more than one attorney in the office before we go forward,” said Deputy District Attorney Michael Byrne. “That process can take some time. There won’t be any decisions made until the next week or so,” he said. Griffin-Heady’s attorney, Roberto Marquez, said Tuesday evening he is supportive of the investigative agency allowing the District Attorney’s Office to determine whether criminal actions were involved when the case concerns the death of a child. “I don’t have any problem at all, morally or legally, to file a report for the district attorney to investigate. That being said, however, that doesn’t mean we can just have a knee-jerk reaction that because someone died that we need to file criminal charges. Because it may just in fact be an accident that is unforeseen and is obviously more than tragic,” Marquez said. He previously said that for a criminal case to be successful, investigators would need evidence that Griffin-Heady knew the dogs were aggressive or that it was not safe to leave her brother alone. Her dogs were her companions and friends, Alexandria Griffin-Heady said Wednesday of the pit bull terriers that, while she was away from home Sunday, killed her little brother in rural Yuba County. But she hates what they have done, she said, and so she has signed papers that will allow them to be put to death. “It breaks my heart,” she said in her first extended comments to the media since her 9-year-old brother, Tyler Trammell-Huston, was fatally mauled in her small trailer south of Marysville. Dressed in jeans and a blue sweater, her face pale and her hair pulled back in a bun, Griffin-Heady sat next to her attorney, Roberto Marquez, in his Marysville office and tearfully spoke of her efforts to bring together her fractured family and the tragic consequences of leaving her brother alone with her dogs while she headed to work early Sunday. Griffin-Heady insisted she had never known the animals, a mother and two offspring, to be aggressive toward humans. Tyler had been around them frequently in recent months, she said, snuggling and playing with them. She said she could not fathom what provoked them to attack the boy. None of the dogs, named Coca, Noah and Athena, had been spayed or neutered, she said. Tyler was sleeping when she left for her security guard shift, Griffin-Heady said, and the two younger dogs were secured in a crate. When she returned home a few hours later, she said, she found the dogs loose and Tyler’s body lifeless and bloodied on the floor. “My heart just died,” she said in a hoarse voice. 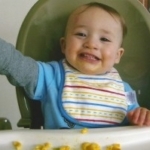 Based on what she saw, she said, Noah, 18-months old, appeared to be the primary culprit. Recently filed court documents in the case of a fatal mauling of a 9-year-old boy indicate the dogs had previously attacked a girl and that the boy wasn’t allowed to play with the dogs without supervision. The boy’s caretaker — who may face criminal charges — and her attorney dispute officials’ characterizations. 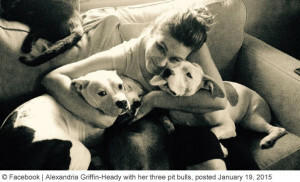 Alexandria Griffin-Heady has said publicly her three dogs were never aggressive and that her brother had a good, playful relationship with them. When she left them all alone together in a trailer on Jan. 3, she expected to return to find her brother asleep. But she returned to find a crate that had contained two of the dogs overturned and her brother, Tyler Trammell-Huston, lying on the floor just inside. He was unresponsive and covered in blood. Yuba County sheriff’s detectives requested Alexandria Griffin-Heady be charged with felony child endangerment when they filed their report with the District Attorney’s Office earlier this week. For the charge to apply, Griffin-Heady had to have willingly acted with neglect. A deputy’s affidavit says: “Heady told me her dogs have attacked one other person before and that was her 4-year-old niece.” When the girl went outside, the dogs knocked her down and scratched her face, it said. After reading that statement, Griffin-Heady’s attorney Roberto Marquez took issue with the use of the word “attack” in the deputy’s description of that incident. “I take great issue with the deputy’s use of the word ‘attack.’ I hope this interview with my client was recorded. I’m sure she never would have used that word. I think it’s a characterization made by the detective, and it’s a miss-characterization of this incident,” Marquez said. His client said the dogs were kissing the girl when she was knocked down and that she scratched her face on the ground, and that a dog accidentally scratched her. “The dogs were licking her when the adults came outside,” Marquez said. The affidavit says two of the 18-month-old dogs, Noah and Athena, were kept in a metal crate because they were very destructive of the trailer if she left them alone. They had been able to escape from the crate in the past by just pawing at the door and breaking the top off the crate. She more recently used a padlock and cable ties to better secure the crate, the declaration says. She told the deputy none of her dogs had been aggressive or bitten anyone, but that her brother did not know how to interact with her dogs and tried to wrestle with Noah to the point that Noah became irritated, growled and pulled away from him, the declaration says. She said she had caught her brother behaving inappropriately with the dogs. “She has seen him kicking at them and hitting them with a shoe lace,” the declaration says. When she admonished him, “she told him he was not allowed to interact with them without her direct supervision,” the declaration says. Marquez said that explanation says more about the boy’s behavior than it does about the dogs’. “When she told me of that it was an example that the dogs were not aggressive, because the dogs would not snap and become physically violent,” Marquez said. 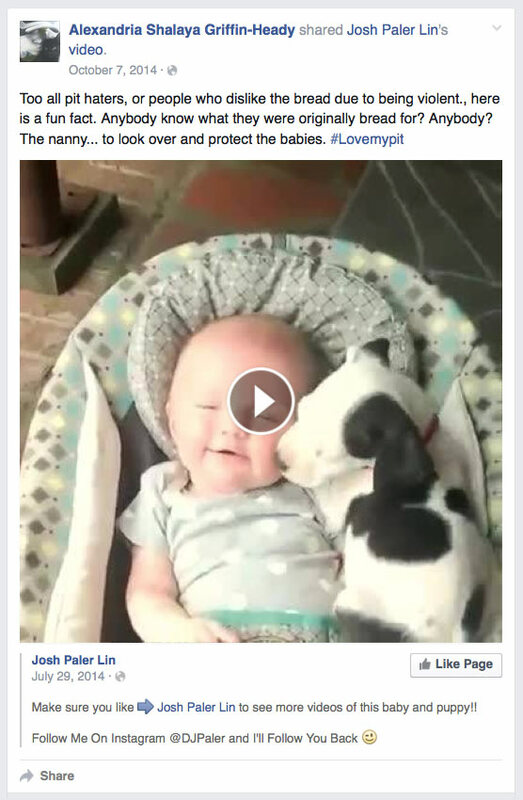 On October 7, 2014, she shared a video popular with pit bull advocates on her Facebook page depicting a pit bull crawling into a baby’s bed and stated: “Too all pit haters, or people who dislike the bread due to being violent., here is a fun fact. Anybody know what they were originally bread for? Anybody? The nanny… to look over and protect the babies. ‪#‎Lovemypit‬” Obviously, that is untrue. 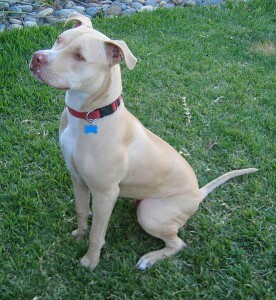 Pit bulls were selectively bred for explosive aggression and to execute the killing bite. Tyler is dead because like many young people, Alexandria believes the false myths about pit bulls, primarily pushed by the Pit Bull Propoganda Machine, that deny the breed’s purpose bred heritage of bull-baiting and dogfighting. Who cares if Alexandria now finally recognizes the truth?Tyler is already dead. 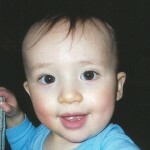 CPS is part of this boy’s preventable death too. They allowed Tyler to be with his sister and her three pit bulls for the weekend in a small travel-trailer without a working bathroom. So everyone get of your high horse and start looking for a way to prevent this from happening again and stop blameing each other maybe we need to realy take a long hard look at the breeders and whats going on with the way these dogs are being breed . Here in Australia we do have some heriffic dog attacks to but no were near as full on as america dose it looks like america has the highest that should say some thing is very wrong in your country and i think the problem lies with people breeding these dogs for all the wrong reasons. Also they get very excited easy.And after running and playing for a while its not a good mix a little child and these very highly strung dog’s and thdy are full on all the time ours dont get on so we keep them separated from each other.this mith of get them desexed is nothing but rubbish we have and it has made no diffrence its best to keep them with the ones they are suited to.So they have a front and back yard 2in front yard and 2in back yard and the other 2 are with my daughter and no im not allowing our dogs any litters no puppys one of my dogs had 13 babys and i told my daughter never again and had her desexed our dogs zre not for breeding they are pets but they are our pets and our responsibility and while I have been very careful to do everh thing for them im still very careful around them and no children are allowed to play or lie down with them i am fully responsible for these dogs and its heart brezking to see the destruction thats been caused by miss handling them by everyone not just one person.And people need to remember like children are born children puppys are to they have all the same traits that all puppys have just like a child that grows up to be a mass murder like ted bundy and others they to were no diffrent to other children they played and did all the normal stuff but some were along the line something went wrong.